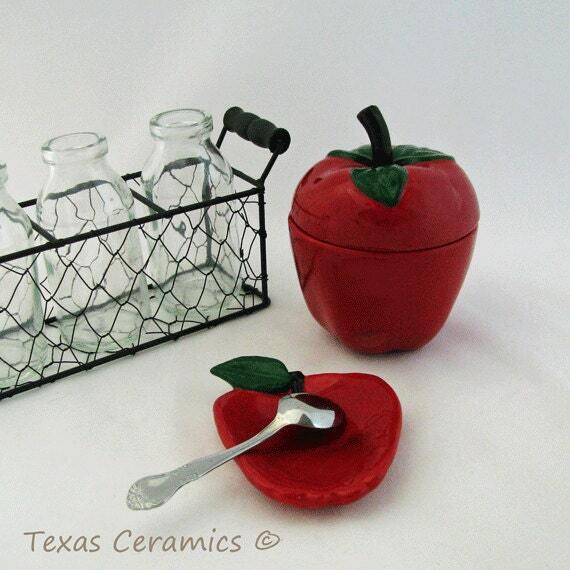 If your kitchen needs a quick makeover then this ruby red apple is sure to help. 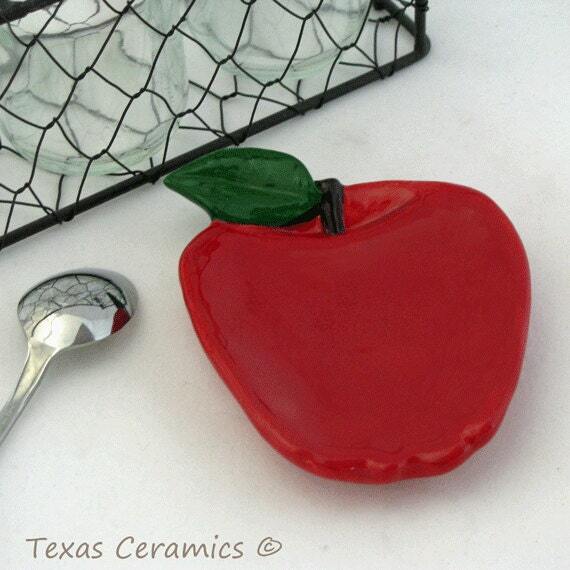 This ceramic apple can be used as a personal size tea bag holder or small spoon rest or catch all. 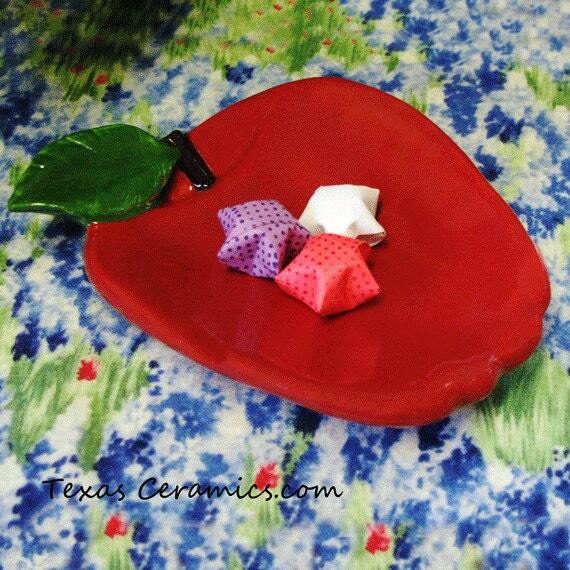 This piece can also be used as a desk accessory or accent piece with dinnerware place settings, or as a sweet gift for a teacher. • 3 1/4 inches wide. 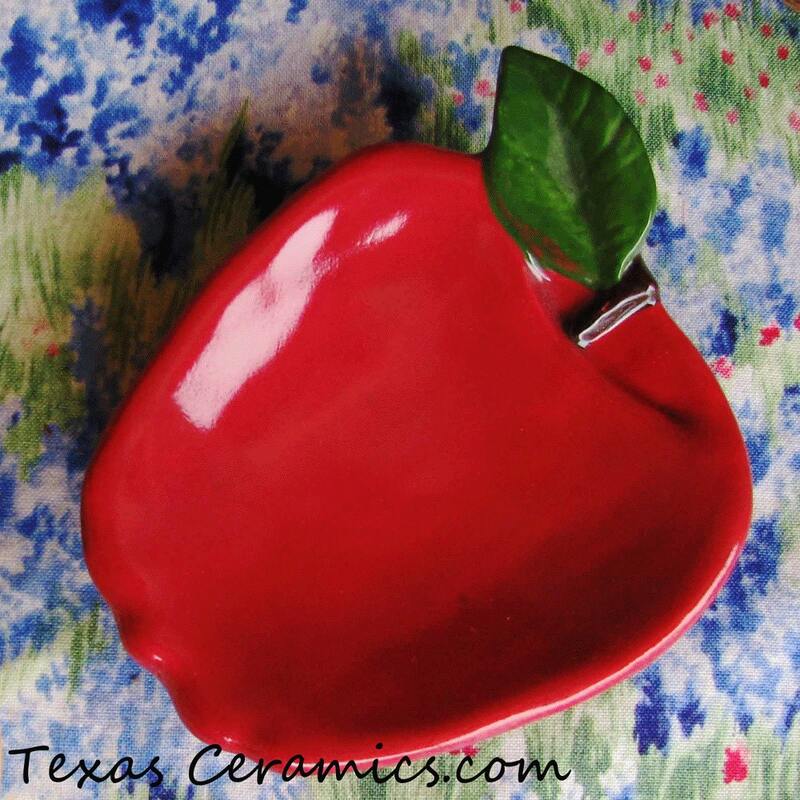 This red apple is cast from a ceramic mold with clay slip and kiln fired a minimum of 2 times. I use many techniques and products to achieve the final piece you see. 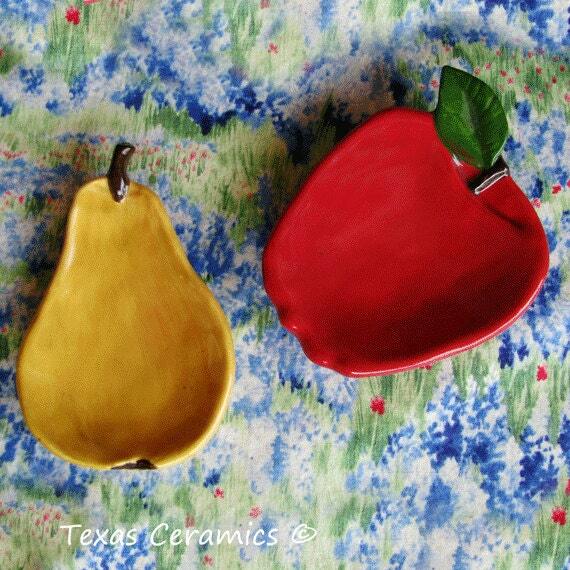 It is dishwasher safe and the colors or design will not wash off, fade or peel. Not only does it make a great spoon rest or tea bag holder, it can also be used for a lot of other things such as keeping track of rings, jewelry, coins, desk accessories, paper clips, staples, small soap bars or balls, candy, a dish scrubber or vegie brush, sewing pins (a small magnet can be glued to the underside of the apple), pet treats, incense, or use with your dinnerware, the uses are unlimited. It also makes great gifts so keep some handy for the last minute gift you may need. Great gift for a favorite teacher. Love it! It fits in with my kitchen decor perfectly. Thanks so much. It is great quality. Perfect little gift. My grandmother loved it. The spoon rest arrived today! Very cute!